Visitors are spoilt for choice in warm Co. Waterford, which is arguably the most popular destination for domestic Irish tourists. This is thanks to Waterford’s seemingly endless sunshine (or as close as you get in Ireland!) 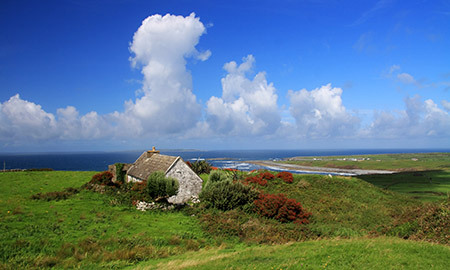 and its perfect beaches that stretch along the far southeast coast of Ireland. 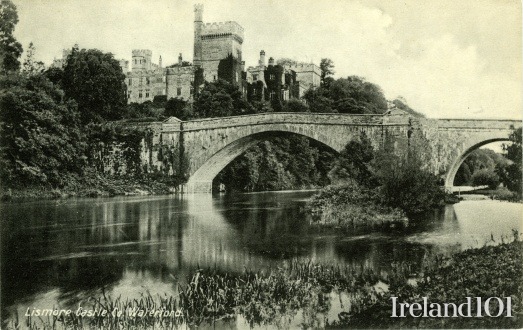 Waterford is best known for its famous export, Waterford Crystal. 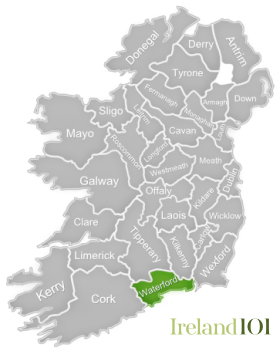 Though the company went into receivership and its full production was moved offshore after the 2009 economic downturn, a new visitor centre opened in Waterford City in June 2011, with demonstrations of glass blowing and crystal production, as well as a small retail shop. 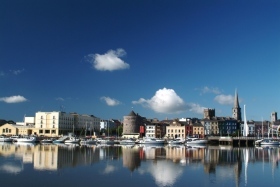 Waterford City itself is a wonderful destination full of lively pubs, quaint shops, cafes and historic sites, such as Ireland’s oldest civic building, Reginald’s Tower, as well as several worthwhile museums. 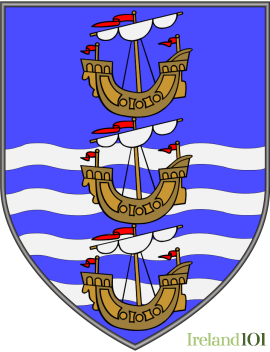 But the county’s coastline is certainly its biggest draw, and with good reason, for the beaches here are unspoilt, sun-kissed stretches of sand. 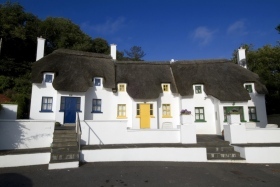 A number of resort villages dot the coast, including Tramore, Dunmore East, Dungarvan and Ardmore, all of which offer great swimming and recreation along several Blue Flag Beaches. 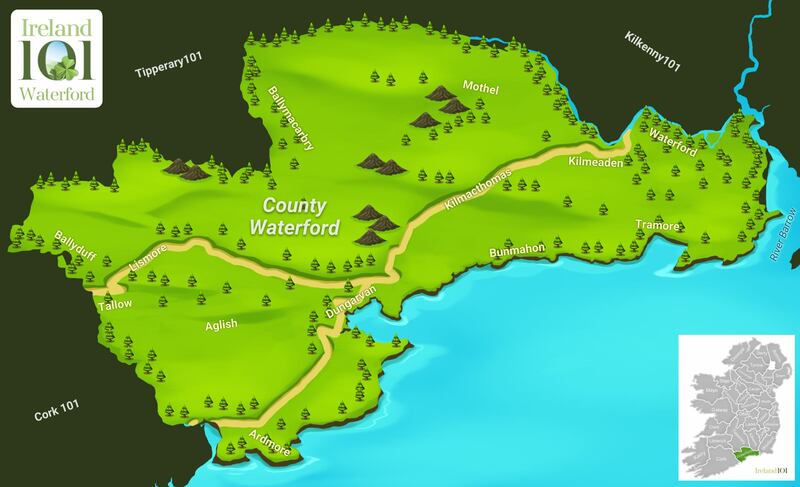 The pouring in of so many tourists to the county's coast has left the north side of Co. Waterford far less explored. The Comeragh Mountains stretch down through the heart of Waterford, culminating in the pristine waters of Lough Coumshingaun, a crystal clear lake surrounded by tall, rocky crags. The mountains provide plenty of fodder for walkers, while the stark Nire Valley is the perfect place for adventurous rock climbing. The picturesque Mahon Falls comprise a steep 80-metre waterfall that can be accessed via a walking trail from the R676. Thomas Francis Meagher – a politician and, later, American Civil War general that created the Irish tri-colour flag – was born in Waterford, as was William Hobson, the first governor of New Zealand. 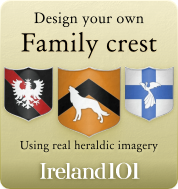 The county has also produced more than its fair share of footballers, including John O’Shea (Manchester United), Daryl Murphy (Celtic), Noel Hunt (Reading), as well as cyclist Sean Kelly and Olympic medallist runner John Treacy. A "garden of paradise" and "one of the nicest places in the world" according to the photographer, and we definitely agree. 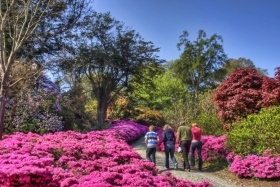 The beautiful gardens at Mount Congreve in County Waterford. 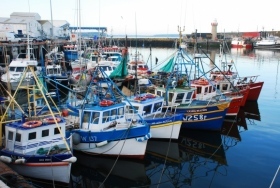 A collection of colourful Fishing boats in Dunmore East Harbour, Waterford. 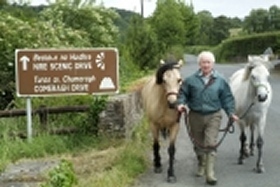 A local man from County Waterford takes his two friends for a walk. 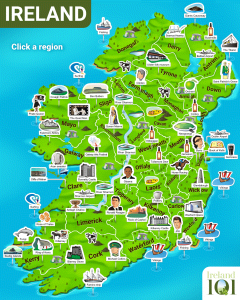 How much do you know about Waterford ?